My passion for the game of golf originated as a junior golfer in Racine Wisconsin. As the captain of my high school golf team I enjoyed encouraging fellow teammates to strive to be the best that they could be. 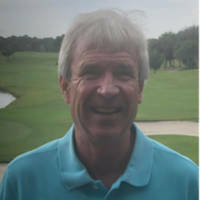 After graduating from the University of Wisconsin Madison with a Bachelors of Business Administration I moved to Palm Beach Gardens Florida to pursue a career in the golf business. At PGA National Golf Club and Resort I became an instructor in the PGA Golf Academy. My specialty was the short game chipping, putting, bunker, and pitching. I have had several articles published in Golf Digest and Golf Illustrated related to putting and the full swing. As a certified First Tee Instructor I believe in the ideals that foster a foundation for youth to learn values consistent with a healthy life style. I have been a member of the Professional Golfers Association of America since 1991 and strive to enrich the golfing experience of fellow golfers. I am humbled by community involvement with the Palm Beach County Substance Awareness Coalition which opened the door for me as the radio talk show host whereby, I was able to discuss with my guests legislative, awareness and prevention positive solutions related to substance use and mental health concerns. Currently I am an advocate for homeless through the Footworks Project based in West Palm Beach. I am fortunate to be able to draw upon my prior experience as a financial advisor with Northwestern Mutual Financial Network creating meaningful plans based upon client's goals and aspirations. Recognizing the challenges that our society faces related to substance use I recently graduated from Palm Beach State College Addiction Studies College Credit Certificate program. I am currently a graduate student at Nova Southeastern University School of Psychology pursuing a Master of Science degree in Mental Health Counseling. I believe that the game of golf is good for the heart mind body and soul I look forward to golfing one day with you.